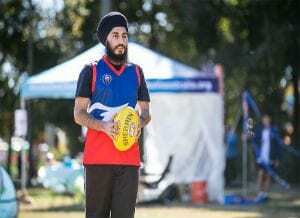 Welcome To The 2019 Australian Sikh Games, Official Accommodation Guide. Great Rates on Official Hotel + Huge Range of alternate Accommodation. View The Accommodation Deals Below! Select your preferred accommodation option from below list. Request a Room Block using the "Sikh Games Book Form" on the right of this page. We will respond same business day with further details & if all in order a booking confirmation. No upfront monies will be required. Your first payment (1 night deposit per room) will be required 90 days from check-in. Cancellations prior to this are penalty free. Full payment will be required 30 days before check-in & thereafter all monies are non-refundable. Block Your "2019 Australian Sikh Games Accommodation" Now! Show Me The 2019 Sikh Games Accommodation Deals! 1 - All accommodations are within a 20 minute commute of "Casey Fields". 2 - All require "No Monies" until 90 days before check-in & changes or cancellations are "Penalty Free" until this point. 3 - "Atura Dandenong" has been nominated as "Official Hotel". Can offer 60 x standard queen rooms @ $142 per room per night. Can offer 60 x standard twin rooms (2 x single beds) @ $142 per room per night. Group buffet breakfast at $20 per person. Can offer 30 x queen rooms – (1 x Queen Bed) $135.00 including 2 full buffet breakfast. Can offer 15 x twin rooms (2 x single beds) $135.00 including 2 full buffet breakfast. Can offer 10 x triple rooms (1 queen + 1 single bed) $160.00 including 3 full buffet breakfast. Note limited quality rollaway bed can added to the queen rooms at a $25 per night surcharge = $165 inc breakfast for 3 pax. Can offer fully a mix of 30 fully self-contained 1, 2 & 3 bedroom apartments. 4 x fully self-contained 1 bedroom apartments – all have queen bed, full kitchen, internal laundry & lounge /dining area. Tariff is $209 per apartment per night. 18 x fully self-contained 2 bedroom apartments – queen bed in master bedroom, 2 single beds in second bedroom, 2 bathrooms, full kitchen, internal laundry & lounge /dining area. Tariff is $339 per apartment per night. 08 x fully self-contained 3 bedroom apartments – queen bed in master bedroom, either 2 single beds or queen bed in both second & third rooms, 2 bathrooms, full kitchen, internal laundry & lounge /dining area. Tariff is $459 per apartment per night. Can offer fully a mix of 20 fully self-contained 1 & 2 bedroom apartments. 04 x fully self-contained 1 bedroom apartments – all have 1 king bed or 2 king single beds, full kitchen, internal laundry & lounge /dining area. Tariff is $209 per apartment per night. 16 x fully self-contained 2 bedroom apartments – all have 1 king bed or 2 king single beds in both master & second bedrooms, 2 bathrooms, full kitchen, internal laundry & lounge /dining area. Tariff is $339 per apartment per night.